Today we docked in San Pedro. Not Long Beach and not Los Angeles. Even with the notification we received in our cabin last night about today’s actual port and pier, crew and passengers alike were confused. We had some flexible plans for both San Pedro and Long Beach so we were good either way. We’ve been to San Pedro several times over. (We’ll even be back again next month.) It’s an embarkation port for Princess Cruises so if we’re going to Mexico or Hawaii with Princess we usually join the ship in San Pedro. We even join in San Pedro on some of the repositioning cruises like next month’s. 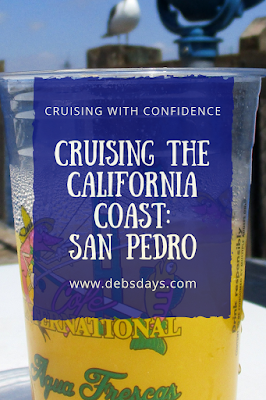 On all our San Pedro visits we have a typical pre-cruise routine. Check into the hotel, hang at the pool, grab some dinner, get a good night’s sleep. Occasionally we arrive on a market day and we’ll head down to take a look and grab some food from one of the food stalls. We don’t do much else, but each time we wonder about a couple things. 1. Once we get onto the ship, we sit on the Promenade deck and look out at the walkway and benches across the water, wondering how to get there. We tell ourselves someday we’ll check it out. Well, that someday never, ever happens. But it did today. We took a little jaunt over to the benches and got a different view of the ship. 2. When leaving port, the ship traverses a canal. A canal that has this place along the waterfront where lots of people are gathered around tables. It always has looked like a fun place to hang but we never made our way there. But we can check that off our list, too. We took a free hop-on, hop-off bus down to what's left of the Ports O' Call Village. That’s where we found the San Pedro Fish Market. 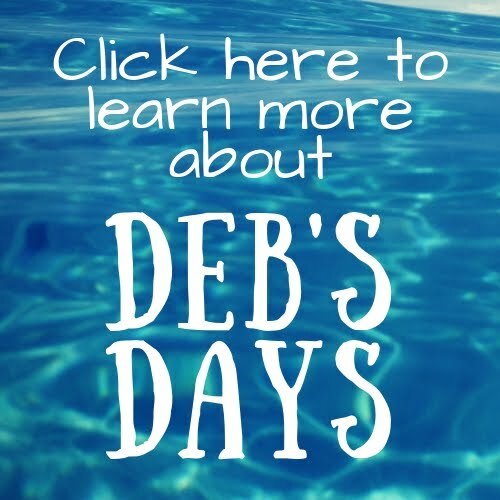 A day near the water in the sunshine? Yep. Those two adventures took up most of our day. It was a great day. It was also an introspective day for me. The encouraging word pockets I’m dropping in the Wake Show box aren’t making an appearance on the Wake Show. I talked to the cruise director last night about them just to be sure they are making it to him. (He’s the one on camera for the Wake Show.) They are getting to him, he knew after seeing them that I was back on the ship, but he's still not reading them. I’m still not sure he understands the purpose and importance of them. As I’ve told him before, I believe in my heart we can change the world through positive thoughts, words, and actions and we need to share those things as much as we can. I’ve been dropping them off with him in hopes he would read them and help spread the positivity and encouragement. I know not everyone is ready to, as today’s encouraging word pocket said, Spread love everywhere you go so I'm guessing he's not there yet. Tomorrow we’re off to San Diego where we’ll head to hubby's San Diego Padres baseball game. He is so darn excited. If you’re interested in what is happening all around the ship today, you can find it in the Patter right here.